If you have Hashimoto’s and are on a gluten-free diet to manage your autoimmune hypothyroidism, you may be eating rice-based gluten-free products. Recent studies have shown rice can be dangerously high in inorganic arsenic, particularly rice grown in the southern United States. One study showed people on a gluten-free diet have twice as much arsenic in their urine compared to controls (and 70 percent more mercury). Although guidelines exist to minimize arsenic exposure when eating rice (buy rice from California, eat white rice, wash rice thoroughly before cooking, and cook rice in a ratio of 6 to 1 water to rice), what about rice-based gluten-free foods? It’s nearly impossible to know where their rice comes from, how it’s processed, and what the arsenic levels are. It’s important to minimize exposure to toxic chemicals and heavy metals as much as possible when working to manage Hashimoto’s hypothyroidism. This article provides an overview of arsenic levels in some popular gluten-free foods. 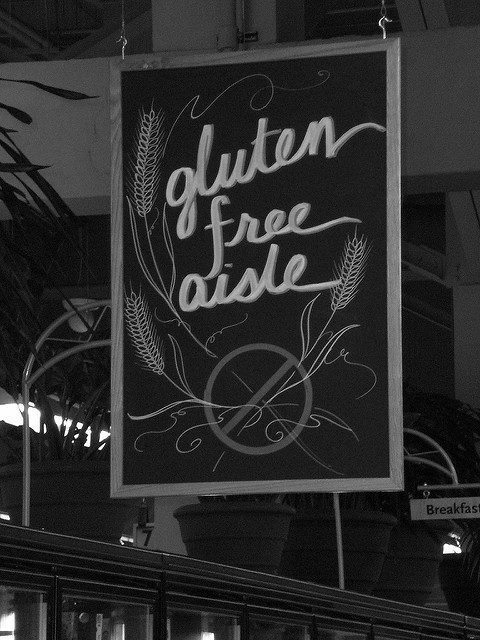 Thankfully, information available for people with Hashimoto’s hypothyroidism on a gluten-free diet. The Gluten-Free Watchdog has begun testing arsenic levels in popular brands of gluten-free foods. Levels of what is considered an acceptable amounts of arsenic varies. Codex, an international collection of safety standards, proposes a maximum of 200 parts per billion in white rice. The European Union proposes 100 parts per billion. However, arsenic expert Dr. Andrew Meharg proposes 50 parts per billion for children, who carry a heavier toxic body burden, and 100 parts per billion for adults. For a more complete list of arsenic levels in various foods that you can browse by category, visit this link. A subscription is required to access the reports. However, below are some examples of arsenic levels in some popular foods and categories to help you consume as little inorganic arsenic as possible if you eat gluten-free foods. It’s important to understand these numbers tell us the concentration of inorganic arsenic in each product. The frequency and amount of any item eaten and whether the eater is an adult or a developing child are also very important factors in the equation. For example, at 540 parts per billion of inorganic arsenic, Bob’s Red Mill Rice Bran looks pretty bad. But consumed in very small quantities as brans typically are, it may not pose as much a problem, relative to the other foods listed, as it first may seem. Naturally, it would be better if our rice were not contaminated with inorganic arsenic. But thankfully groups such as Gluten Free Watchdog are around to help us reduce exposures. Also, there is a group based at Cornell University working to shift the world to a rice farming method that uses up to 50 percent less water while increasing yields, thus saving precious water while reducing the amount of arsenic in the rice produced. Ask my office for more advice if you have Hashimoto’s hypothyroidism and would like to learn ways to protect your body from heavy metals and toxins.